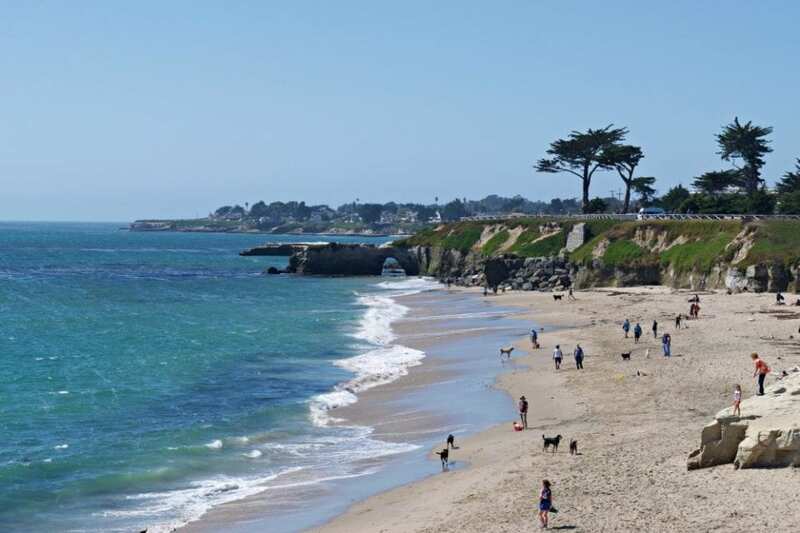 I challenge anybody to find a place more diverse than Santa Cruz California. I’m not just talking about a cultural mosaic that runs the gamut from old school hippy to urban elite and everything in between. I’m talking about a town that has a little bit of everything and discoveries around every corner. 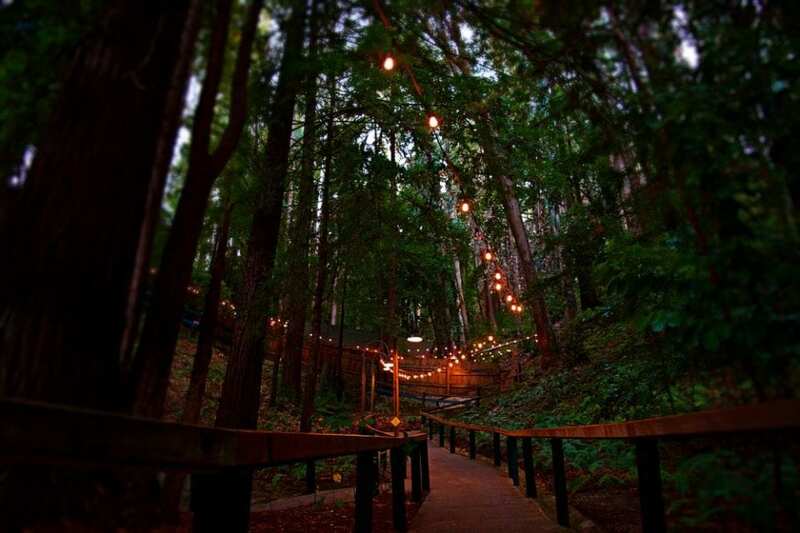 From the oceanfront boardwalk carnival scene to secluded redwood forests, Santa Cruz has so many cool things to do. Here is a dozen of our favorites to get your imagination going. 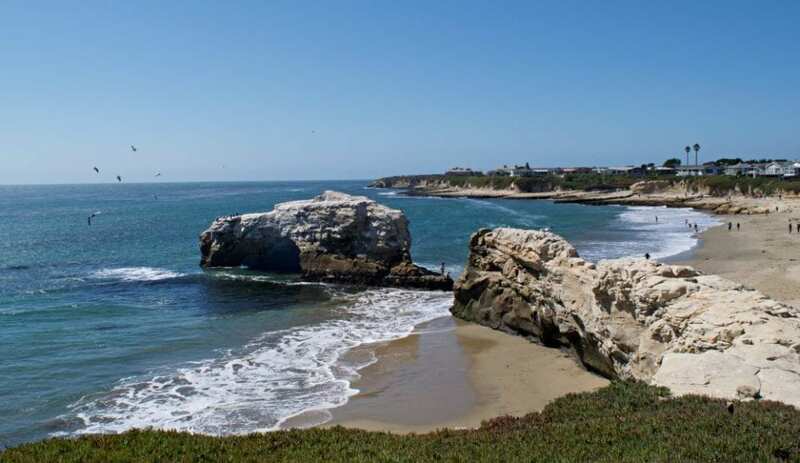 Santa Cruz County has over 29 miles of coastline with some remarkable beaches. Check out Main Beach, in front of the famous boardwalk, if you’re looking to people watch and love the beach amenities. If you’re looking for something a little quieter check out Greyhound Rock Beach 17 miles north of town, where a hidden trail takes you down to your secluded patch of paradise. How about something in between? 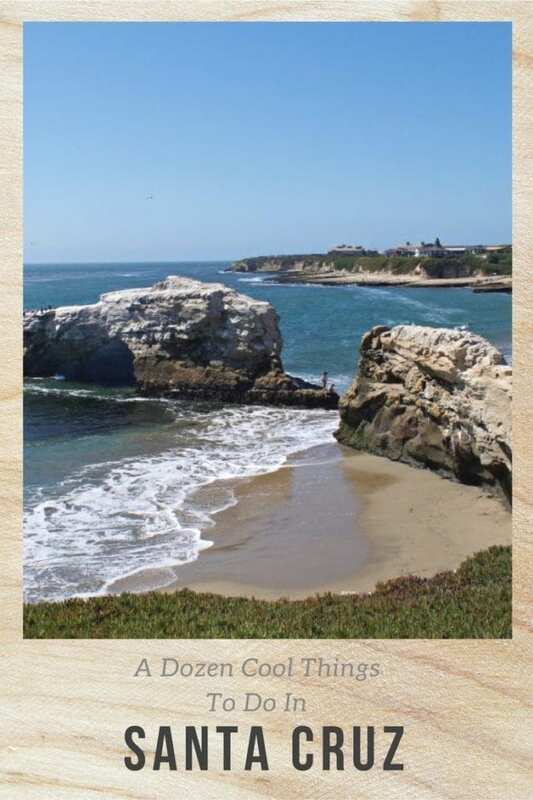 Just north of town is Natural Bridges State Park where you have plenty of room to set up your towel but still have restrooms and beautiful views of the rock formations in the surf. There is a beach for anybody who is willing to brave the chilly water. Between the Santa Cruz Mountains and the Pacific Coast sits the largest trees south of San Francisco. 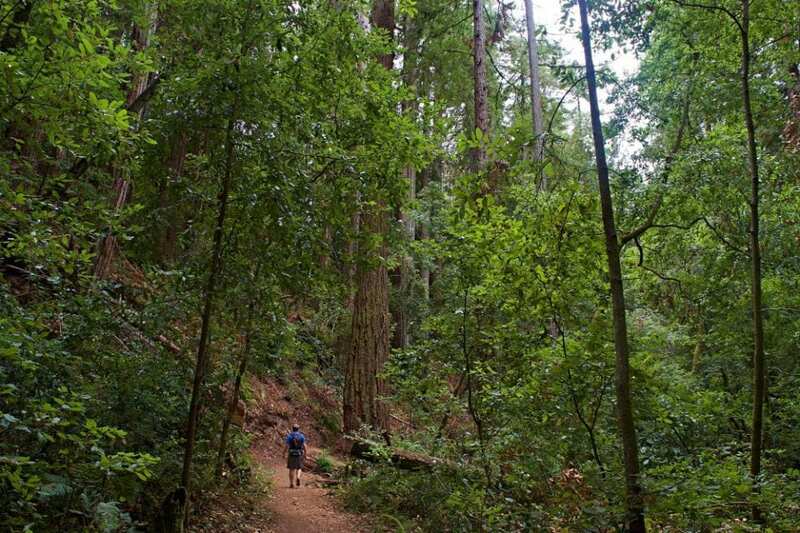 Henry Cowell State State Park is the closest park to town with huge trees and flat easy trails. Further up the mountain is Big Basin Redwoods State Park. 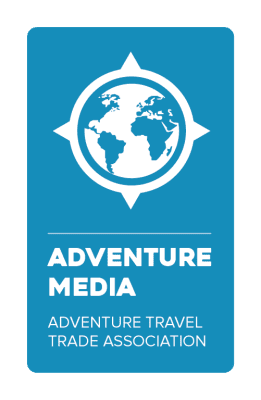 Here you can camp in the redwoods, taste the redwoods with the simple Redwood Trail or dare the backcountry with the difficult Berry Trail Loop. From Berry Trail, you can see waterfalls or even hike all the way from the Skyline to Sea and reach the ocean at Waddell Beach. The Santa Cruz Boardwalk is just good clean fun. There is an assortment of thrill rides anchored by the historic and iconic Giant Dipper roller coaster. There is also food, shopping, arcades, games and all the amenities you would expect. It’s a great one/two combination with the beach or wharf. 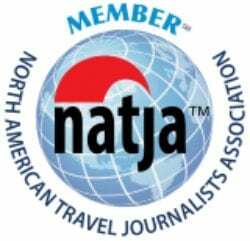 They also have host all kinds of special events and concerts throughout the year but particularly on summer weekends. 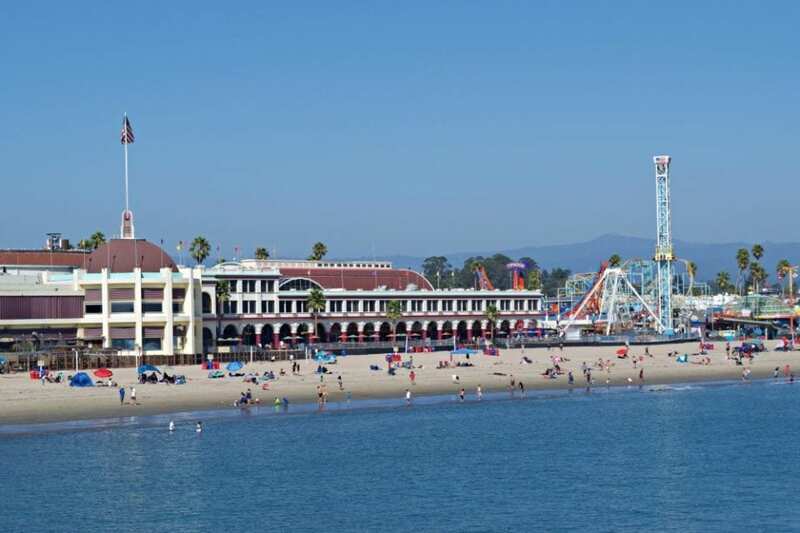 The Santa Cruz Wharf is located between Main Beach and Cowell Beach, the Santa Cruz Wharf stretches over a ½ mile into the ocean making it the longest wharf on the west coast. 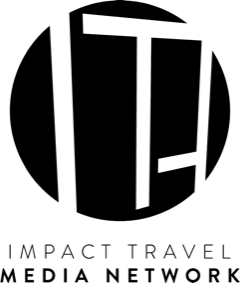 This is the place to go if you want a commercial fishing trip, boat tour or even just a seafood dinner over the water. 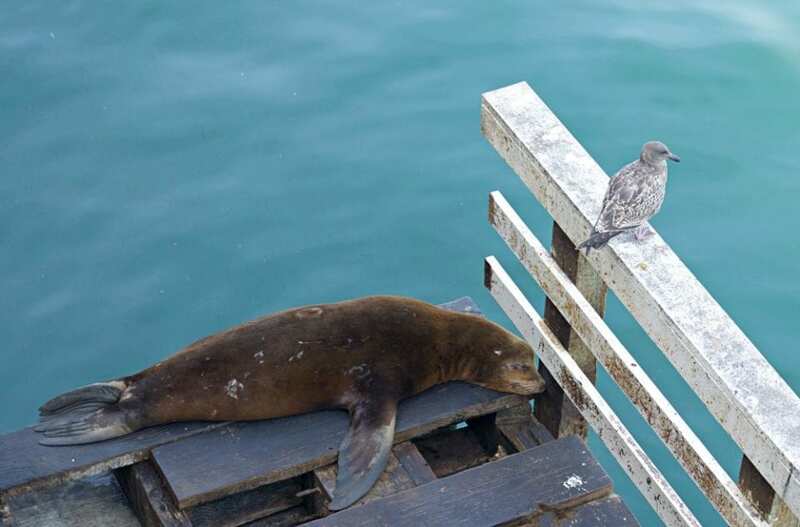 If you make it to the end of the pier, you can see a colony of sea lions living under the deck. Along the way, you can see incredible views of the Santa Cruz Boardwalk or surfers on the lineup at Cowell Beach. 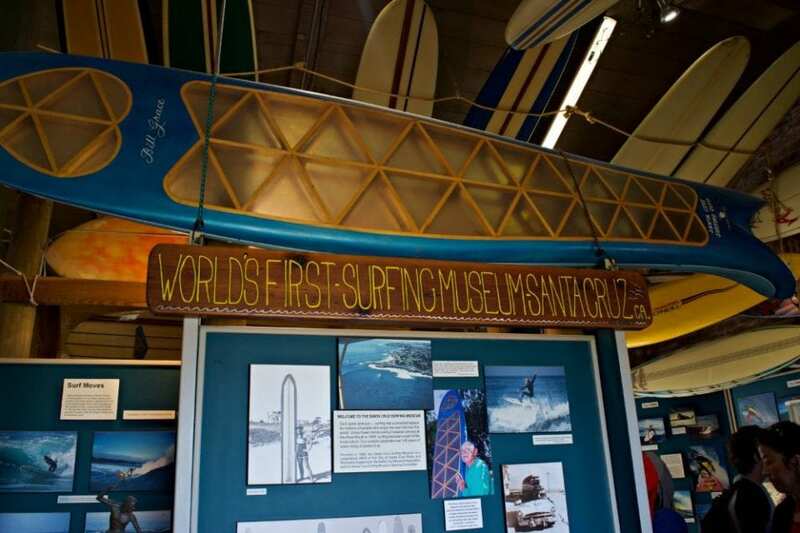 The Santa Cruz Surfing Museum is the world’s first surfing museum and commemorates over 100 years of surfing at Santa Cruz. In 1885, three Hawaiian princes introduced surfing to the area. 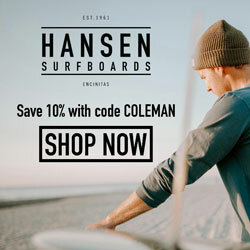 If you have your own board (and wetsuit) there are plenty of breaks to check out. If you are new to the sport, there are several surf schools in town that offer equipment rental and lessons. Roaring Camp Railroad utilizes the old narrow gauge railroads from Santa Cruz’s logging past. 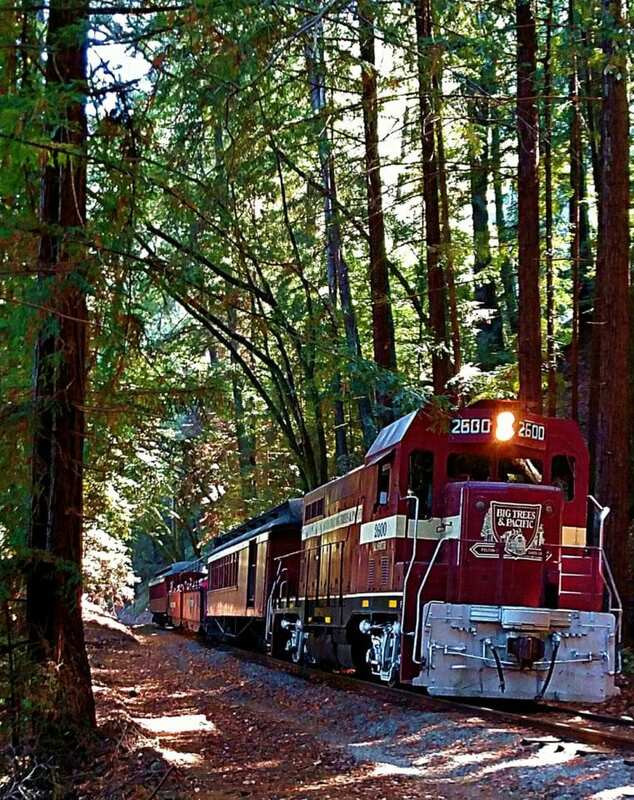 The redwood forest steam is a 1 ½ hour trip up Bear Mountain and back on with a historic steam engine pulling the train. The beach train runs from the boardwalk to Felton Camp and back on a 3 hour round tour. You can board the train from either station. 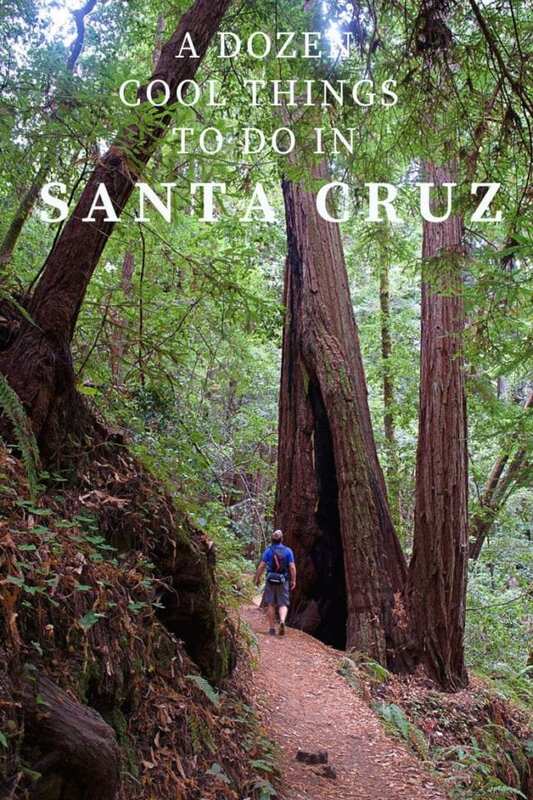 It’s a great way to see both the beach and forest elements of Santa Cruz and discover area’s rich history. Monterey Bay is the most biologically diverse ecosystem in all of California. 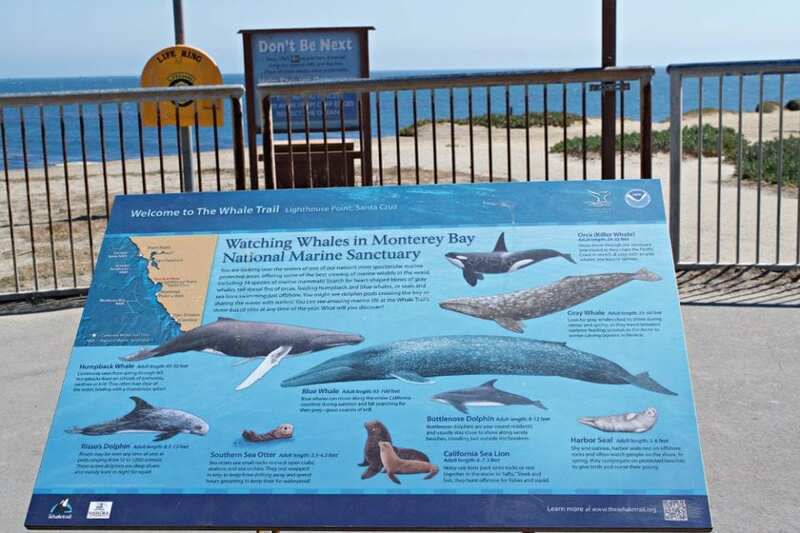 From the playful sea otter to the majestic humpback whales there is plenty to see and an abundance of ways to see it. 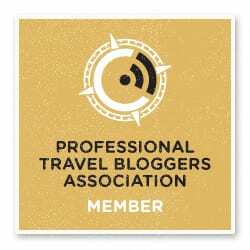 You can scuba dive in the kelp forest or take a commercial whale watching trip. You can even just take a kayak or sailboat out into the bay. No matter how you hit the water, there will be plenty of places to explore and even more discoveries to be had. Say what you want about The Mystery Spot, but they sure put on a good show. They claim there is a gravitational anomaly located in the redwood forest. They demonstrate balls rolling uphill or water flowing upwards as proof their hypothesis. Even if you don’t believe, you can enjoy the showmanship and a walk in the forest. When you hear “mall”, don’t think of a crowded mess of stores where teenagers hang out. Think of a row of shops around a pedestrian friendly street that looks like it was Main Street America from central casting. 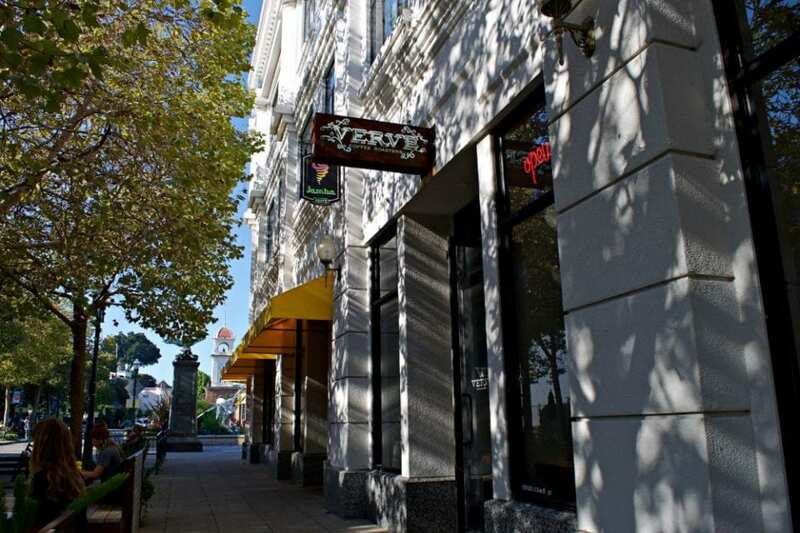 Specialty shops abound down the tree line streets offering you a truly unique experience. 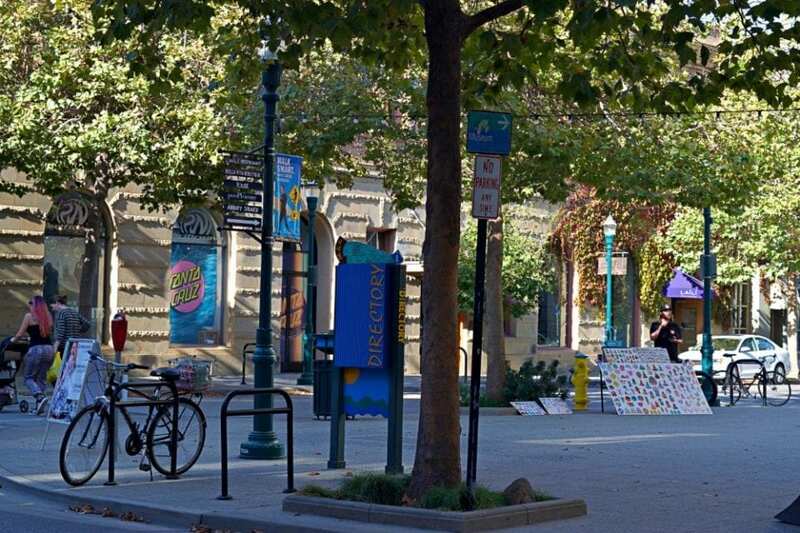 Here you can see the old school hippie culture and street performers alongside specialty boutiques and gourmet coffee. Come to Pacific Garden Mall for the scene and stay for some spectacular food and rare shopping treasures. Do you want to see the ocean without getting covered with sand or fighting crowds? Check out West Cliff Drive. This paved path runs 2.5 miles along the cliffs from the pier to Natural Bridges State Park. 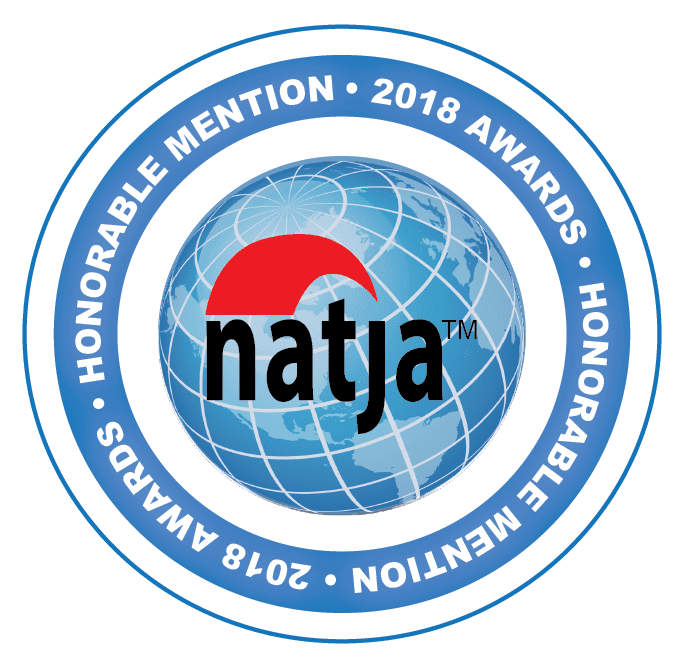 Along the way, you can check out the Surfing Museum, butterfly groves, surf breaks, and amazing views without having to repark your car. The one thing about Santa Cruz I never could stomach….all the damn vampires and the horrible parking and the bad movie quotes. I guess that’s three things but I needed to pay homage to the 30 year anniversary of Lost Boys somehow. Biking Santa Cruz lets you see all the city sites without re-parking and the West Cliff Drive trail is the gem of the trip. 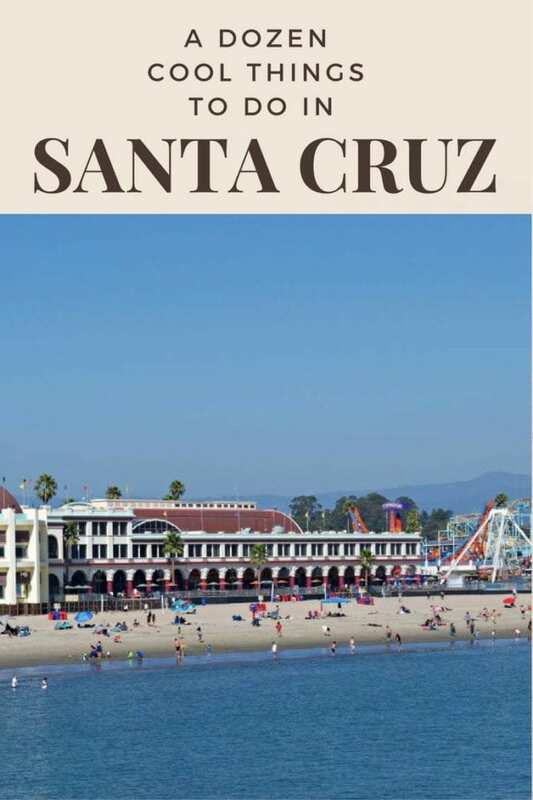 Notice Anything Unusual About Santa Cruz Yet? What’s the recipe for a good time in Santa Cruz? 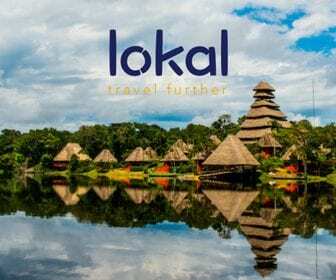 You take a little bit of ocean, a little bit of forest, and a little bit of theme park. 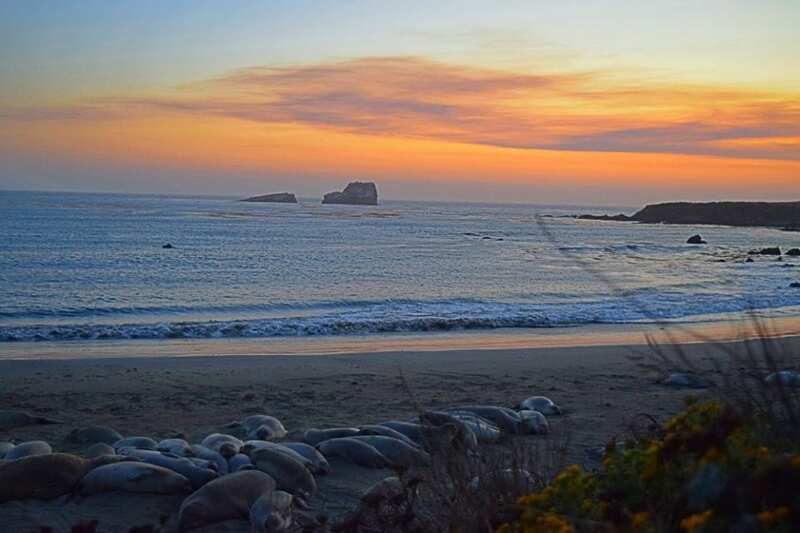 Mix it together with a huge serving of biodiversity and creativity and add a dash of history and you’ll get a Santa Cruz vacation. It’s a little bit of everything and like nothing you have seen before.